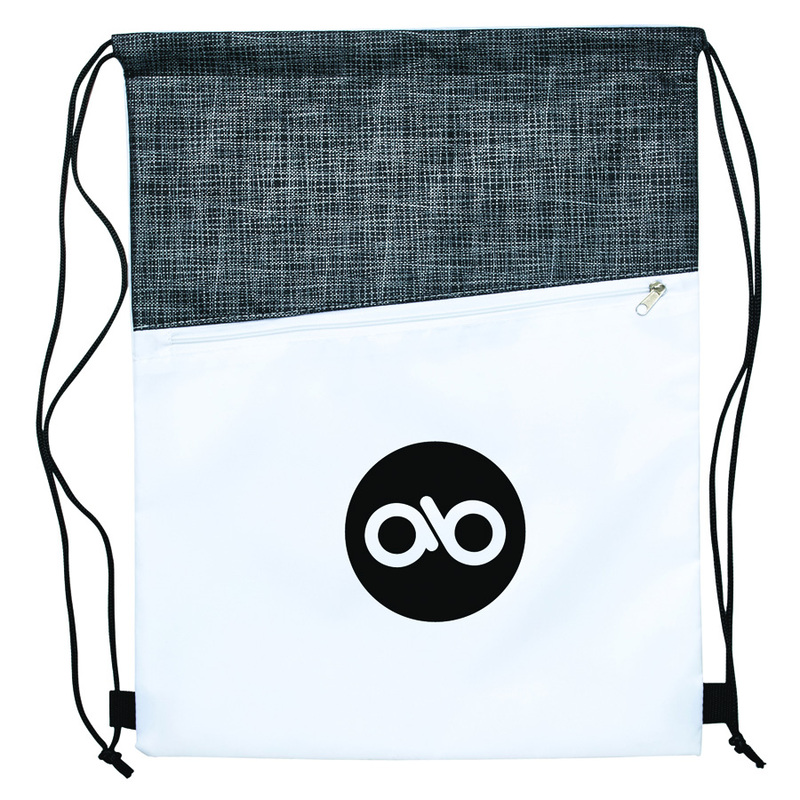 An on trend backsack with a handy zipper and plenty of room for your logo to shine. 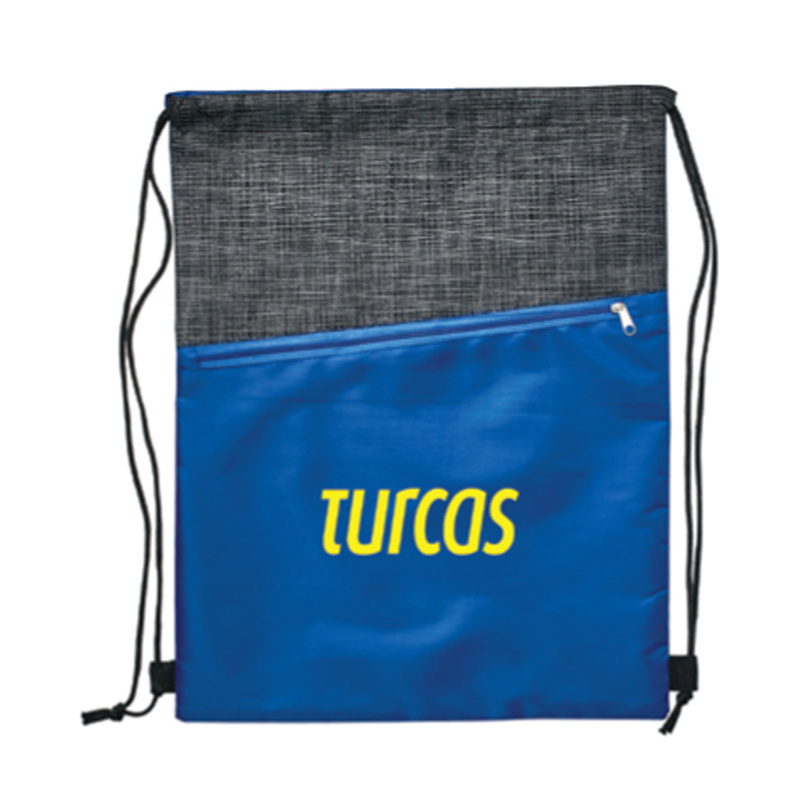 These drawstring backpacks have an added black swatch stripe pattern above the zipper to stand out and give a more appealing look. They're great for any campaign or event and make for a giveaway item with massive impressions. 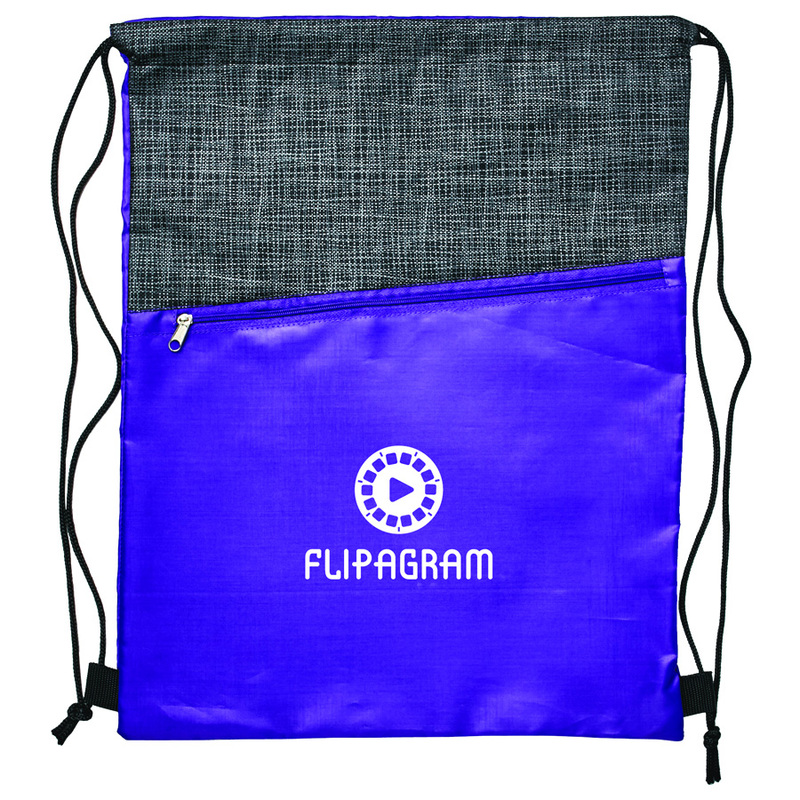 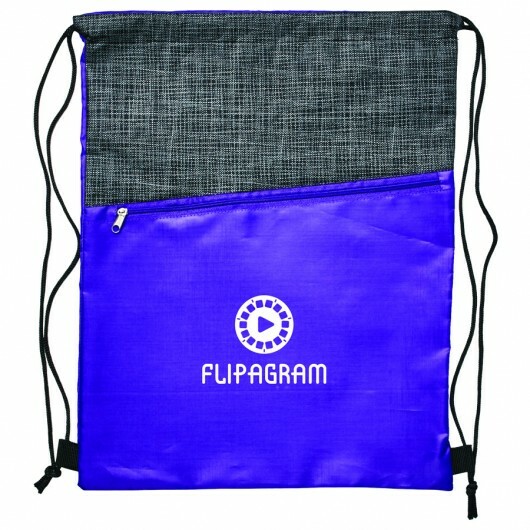 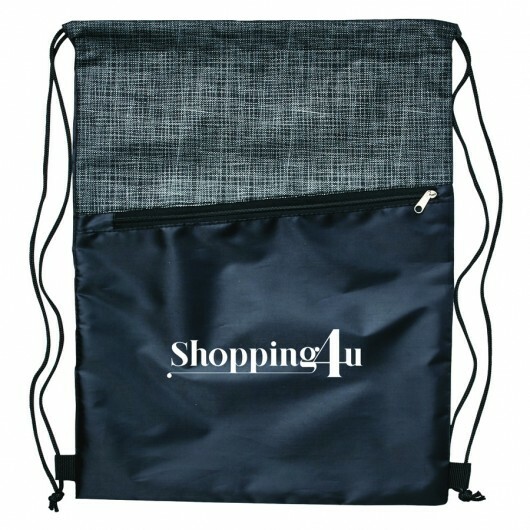 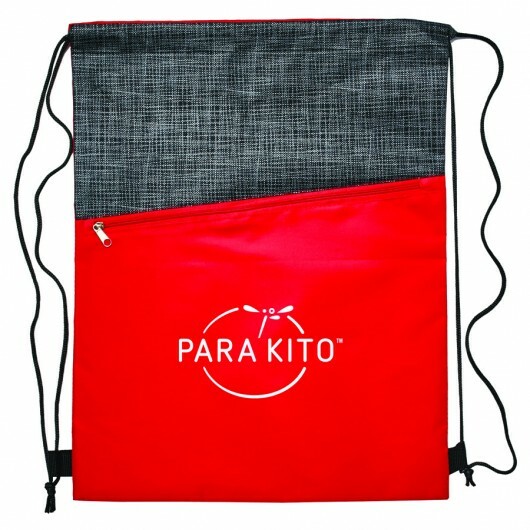 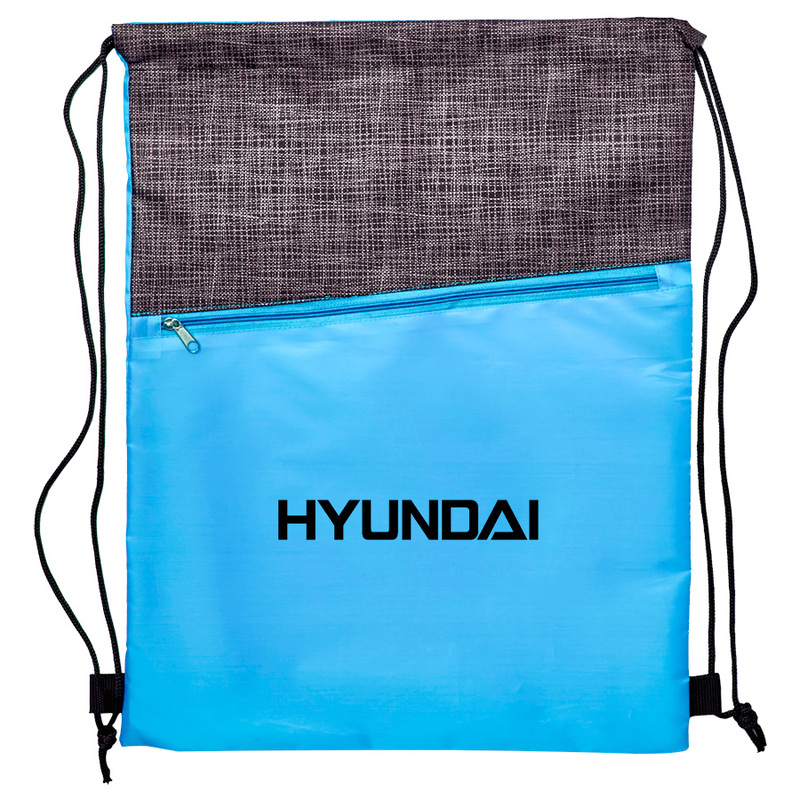 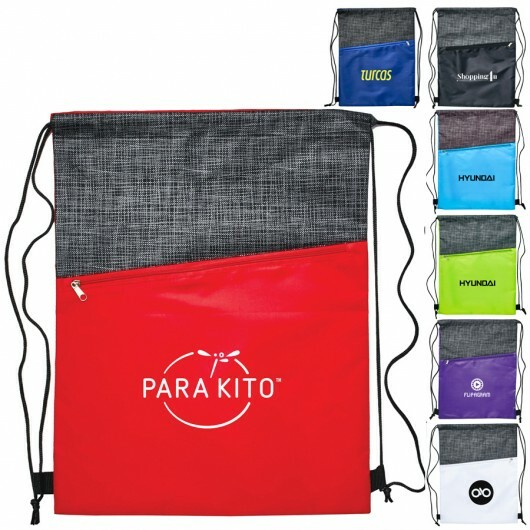 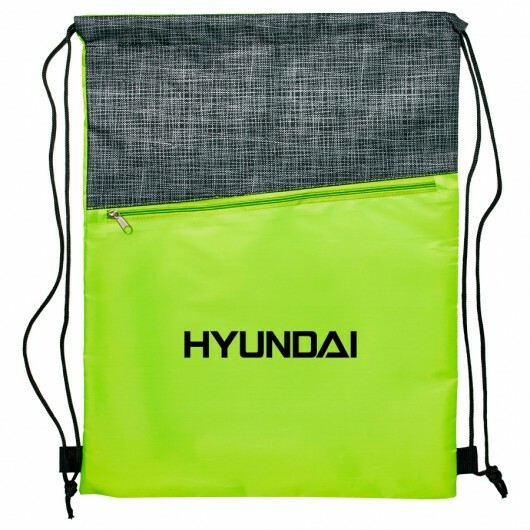 The bags are made from polyester and have a zippered front pocket and two drawstrings.